Need a fun pillow for your doll bed or couch? The current "girl" Happy Meal toy is a Sweethearts plush item. This plush would make a great addition to any doll house. Don't want to see the "conversation" part all year round? The back is blank (sorry no picture of the back). After the prize, what is your favorite part of a Happy Meal? The new American Girl of the Year, Grace, has a bistro set. I thought I'd set up a teastro. Okay, it's not a word - I made it up myself. It's a combination of a tea room and bistro. Tea rooms have a lovely style all their own, just like the tea we are reviewing today - Fashionista Tea. The one thing my tea room is missing...an awesome chair. Anyone know where I can find a comfy wing back? What are we steeping today? Fashionista Tea's Organic Creamy Earl Grey. A touch of French vanilla. Is that why you're wearing a beret? (giggling) Yes, and I think this would be the perfect tea or thé for Grace to pair with her pastries. Let's get to it. Open the tin. Melody and Xyra brought home the sachets for this blend. The sachets are really neat! Yes! They are made from biodegradable silk and are pyramid shaped to allow the leaves more room to unfold during steeping. Look at the shoe on the tag! Oh! Cute! Leopard print heel. I wish I had known, I'd have worn the leopard flats. No, I'd have worn a different skirt. Oh, well. Into the pot it goes. It's turning a lovely deep brown in color. Maybe we should say deep amber-brown. While we wait, let's show the Fashionista Tea card. Smells good too. The bergamot and French vanilla seem to compliment each other well in aroma. Let's see how it tastes. Very nice. A little sweet and still bold. I bet this would hold up well with a bit of raw sugar and milk. You were! This is great - extra creamy. If you regularly follow our tea reviews, you'll know we aren't that fond of vanilla in tea blends. Many times it is overwhelming and artificial tasting. The vanilla in Fashionista Tea's Organic Creamy Earl Grey is not. However, as it cools, the vanilla does take over. The entire flavor of the blend shifts when lukewarm and especially when cold. Personally, I liked it much better hot - it made me think of being wrapped in a super soft, cozy, fleece blanket. We tried a second steeping with the original sachet. The results were very good, but I don't think I'd go over 2 uses per sachet. The Earl Grey presence is firm. If you are not an Earl Grey fan, you may not enjoy this blend. Do you like vanilla teas? If yes, what is your favorite brand/blend? Note: Tea Time with Melody Q is not affiliated with Fashionista Tea (or American Girl). We found and purchased the above tea at the Philly Coffee and Tea Festival. The review is unsolicited and all opinions are our own. Links provided are for educational and informational purposes; no purchase is required. Hi! When I saw the new boots, I had to try them on and show you. Forgive me for not changing my entire outfit; just too excited. As you can see they fit nicely even with tights. The bottoms are nice and flat for balance. I love the pattern sewn into the sides and really shiny metallic bottom. They even have boot straps. Whew! I'm glad I could show these to you. Time sit back, kick my heels up, and watch for more snow. Hope you enjoyed my impromptu review. Do you have cowboy/cowgirl boots? What color are they? 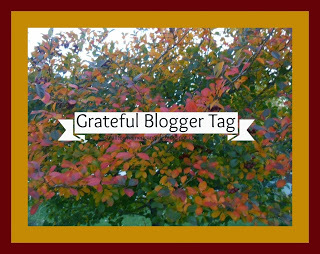 During the fall award season, two lovely bloggers nominated Tea Time with Melody Q for the Grateful Blogger Award or Tag. We are ever so thankful to be nominated by Christian Homeschooler and Guinea Pig Lover; and for Ginny and June who created this award. Add the tag above to your sidebar or awards page. Thank the person/people who nominated you; they will surely appreciate it! Also leave a link back to the person who nominated you. Write about ten (10) things for which you are thankful. Here is the tricky part - you can't just say you are grateful for gum or video games or whatever "little" thing it is you want to discuss. Think deeply about what is really, really important to you such as family, or life in and of itself. Explain why you are thankful for those things. Tag ten (10) bloggers; our goal is to tag everyone! Comment on the blogs you nominate so that they will know that they were tagged! My family and friends who support me in big and small ways. They bring such joy to my life. My fur family. The unconditional love they provide is beyond measure. Being able to share the talents God gave me in fun ways like this blog and choir. Music. That seems so generic, but if you love music too, then you understand how it touches the soul and can celebrate the good times and keep you going through bad. Giving additional spice to life. This tag - it is making us look further into ourselves than we normally would. I think I'm trying too hard though. Books and movies - these can take me all over the world and through time and space. Fantasy, fiction, mystery, science fiction...they whisk me away from the horrors on the nightly news. God's love...God is ever with us, though sometimes we may not be quite as aware as other times. People who give their time helping others. I don't have the talent to be a nurse or a missionary or veterinarian, but I am thankful for those who have these special skills. The changing seasons. Each season brings its own set of colors to the world - bright and dark, warm and cold. The doll collection/blogging community. Seeing all ages come together supporting each other is beautiful. So I am very thankful for all the blogs out there, my followers, my fellow bloggers, those who leave comments, and my inspiration. Like Spinal Tap (random movie reference), i am going to 11. I am ever so thankful for patience. I don't always have it, but I am grateful when I do and for those around me that do also. Particularly when it comes to posting responses to awards. Thank you again for nominating me for this award. 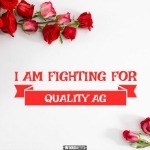 If you have already received this tag, then you don't have to re-post it. We thought it wasn't all that cold. So we gathered a blanket and headed out to the fire pit. What is your favorite snack after being outside in the cold? For all intents and purposes, this one Target has a horrible toy area layout. They had 8 of the Spanish Rose outfits and no others. However, I did find an accessory set I hadn't seen before (in person, but remember someone blogging about it) and shoes tagged at $2.08. So I snapped those up. The case is supposed to go with the retro glasses, but they don't fit. The others do fit. Foods! These eraser sets are great. $1.50. Flower pot and 2 jars. The jars are a bit large and are glass, but will be nice to hold cookies.